Are you wondering what you are going to give your favorite toddler for Christmas (or birthday, etc) ?? Well, Why buy when you can DIY? 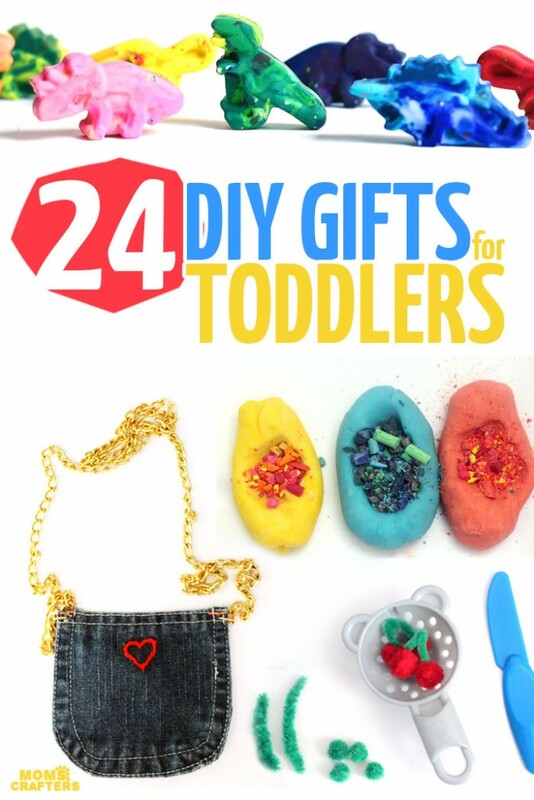 Menucha from Moms and Crafters rounded up these 24 DIY gifts for toddlers that will not only save you money this holiday season, but they’ll also add a personal touch to your gift giving. She says: Making DIY gifts is really not that complicated. These easy DIY gifts for toddlers show that a little something can go a long way. Some of these are smaller “stocking stuffer” gifts, some are just right for a birthday party, and some work great paired with another item in a bundled gift.